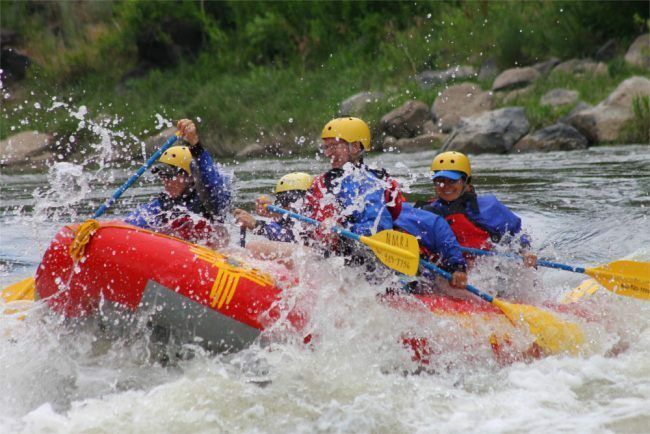 River rafting and water activities in New Mexico are some of the best in the Southwest. A short drive north of Santa Fe and you’ve got world-class whitewater and gorgeous canyons without the crowds. NMRA is our favorite outfitter in Northern New Mexico. Their professionalism and safety record is excellent. The changing rooms, facilities and equipment are always nice and clean and well cared for, and the food they provide on trips is simply the best. And they offer an amazing variety of unique excursions for all interests from half-day to full-day to multi-day, for everyone from novice to expert, and from age 4 on up. A day on the river is definitely a family activity we enjoy each year. This year maybe we’ll give their inflatable kayaks a try. That’s us up front, on a full day trip rafting Taos Box. One of NMRA’s perfect day trips from Santa Fe includes a half-day rafting trip followed by a quick tour and visit of Taos. This is a great way to explore the Taos area. Whitewater and Wine Tasting Day Trip. This excursion offers door-to-door transportation from your hotel or lodging location and experiencing some of the oldest wine country in the United States (yes, older than California’s). Your day includes a half-day rafting trip on the Rio Grande’s Racecourse section of the river, followed by a picnic and wine tasting tour around some of the north country’s award-winning boutique wineries. You’ll want to contact Cindy of New Mexico Wine Tours to book this trip. 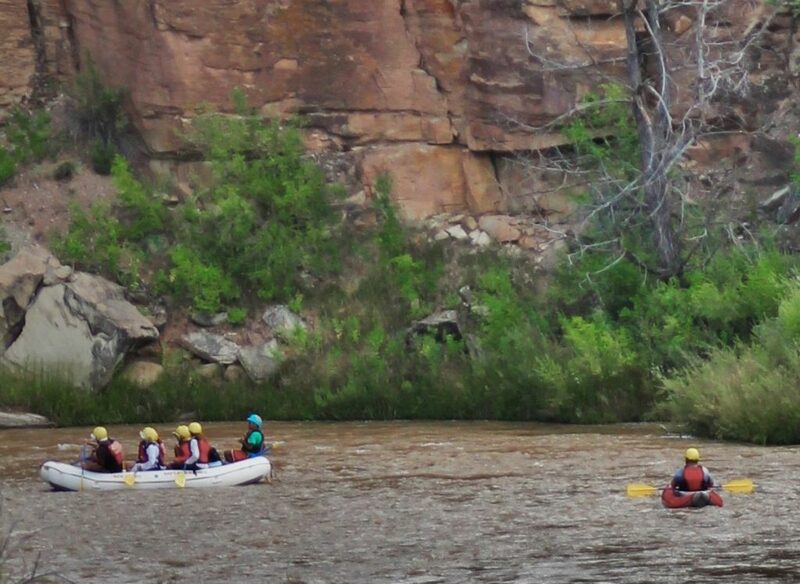 Getting close to nature is one of the joys of river rafting in New Mexico. 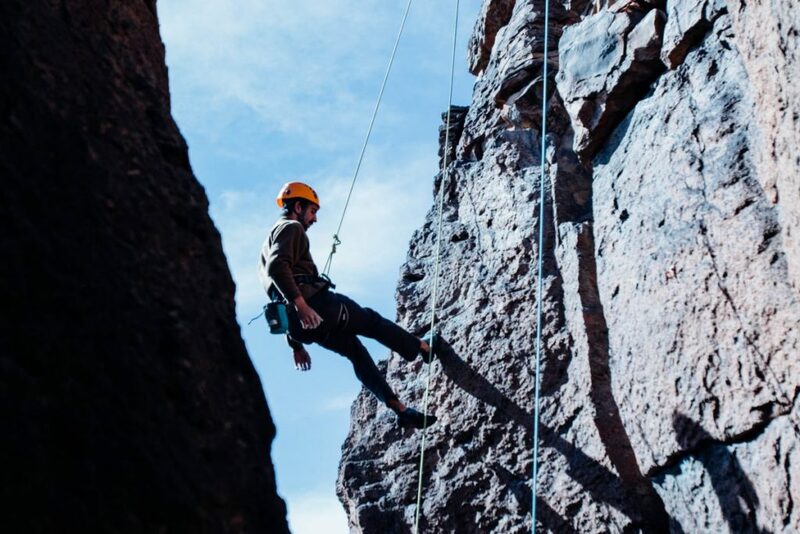 Rock Climbing and Rafting are a perfect combo for the great outdoor adventurer age 12 and older. No experience necessary. NMRA will handle all the details and you can reach for the sky, then cool off in el rio. Rock climbing and river rafting makes for a great adventure. Rio Chama Gourmet Wine Pairing Trip: Spend three days on the Rio Chama enjoying delicious food and amazing views. Matthew says, “The Rio Chama is a hidden gem here in the Southwest.” This outing is a classic high desert multi-day river trip without a week-long commitment. Acclaimed Chef Rocky Durham is your own personal chef preparing four-course meals each night. Dinner is served on a linen-covered dining table and each course is paired with top award-winning wines, provided by the local winemakers of Vivac Winery. Rates are all-inclusive with spectacular food, vistas and fun for the entire family. Check their website for all rates and details. Acclaimed recording artist and New Mexico local, Boris McCutcheon and friends turn your Rio Chama camp into a private show. Each night Boris and friends perform melodic tunes by the fire and under the stars. 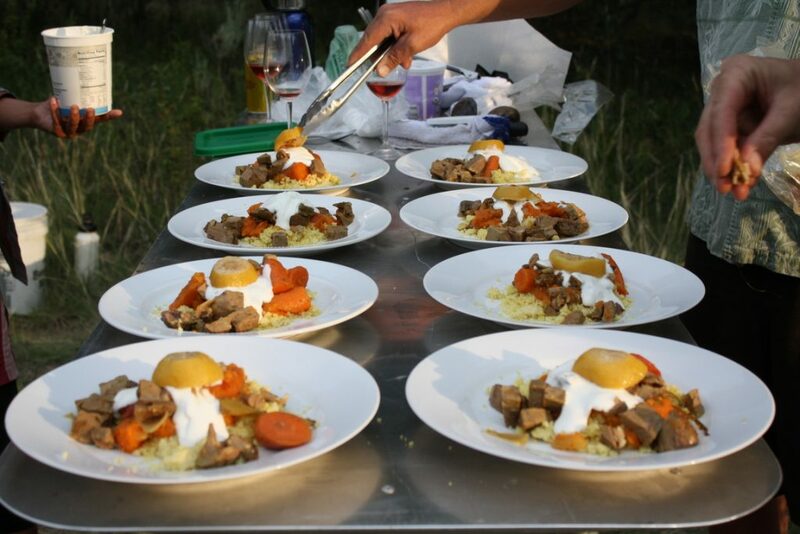 Dinner being served on a Gourmet Wine Pairing Trip on the Chama. There are many more options with NMRA for unique outings that immerse you in the world of archeology, history, flavors, and cultures of the Southwest. 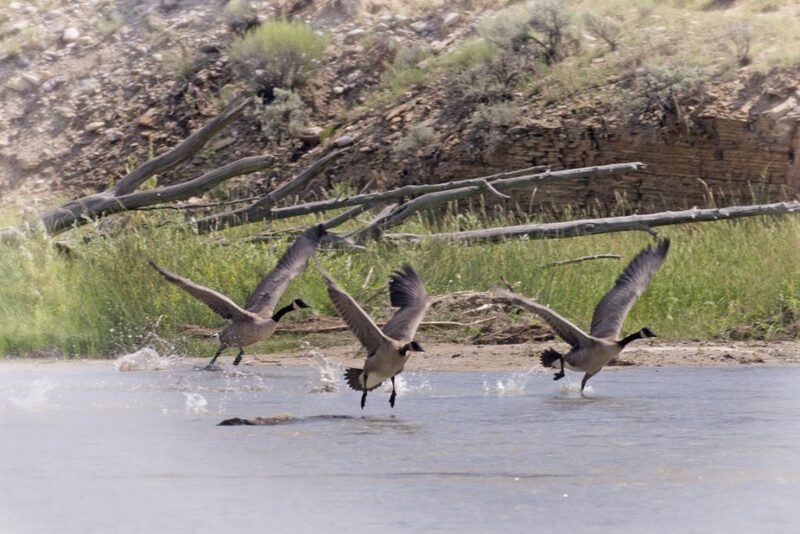 New Mexico River Adventures’ season starts in early March and lasts up to October, which is longer than most other outfitters. Click here for more information, and MENTION santafeselection when you call or book for 10% off your trip! Remember, just because the snowpack may be light some years, we can still expect to have a ton of fun on the river each summer! Thank you for reading my blog article. If you’d like to receive my posts via email, please send your request to Maria@santafeselection.com. For more information on Santa Fe things to do, where to stay, eat, play etc., please go to: SantaFeSelection.com Travel Guide. This entry was posted in All Posts, Day Trips, Outdoor Activities, Santa Fe's Best Tours, Things To Do, Things to do for kids by Maria Johnson. Bookmark the permalink.